On February 08, Courvoisier took over the Rosewood Mansion on Turtle Creek in Texas, USA for the Texan launch of two new cognacs. 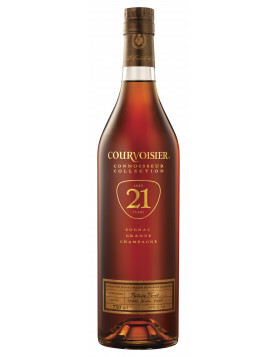 The two cognacs, Courvoisier 12 and Courvoisier 21 break with the age old tradition of describing the age of the cognac by the letters VS, VSOP or XO. Instead, they have included the numbers 12 and 21 in the name to make it obvious as to the age of the drink. Courvoisier, rightly or wrongly, believe that the letter system is a little confusing for the average American to understand – now that’s a statement bound to cause some controversy. So they have decided to take on the system more commonly used on scotch and whisky bottles. This was a decision taken 25 years ago by the company, and now their new vision has come to fruition. The 12 is made up of grapes primarily from the Borderies whilst the 21 is a blend produced entirely from Grande Champagne. As both of these have been prepared specifically for the US market, neither will be sold in France. The 12 will go on sale at $49.99 US dollars and the 21 at $250. Those who were lucky enough to attend the launch were treated to a taste sensation of a variety of cognac blends, including both neat and mixed in cocktails. 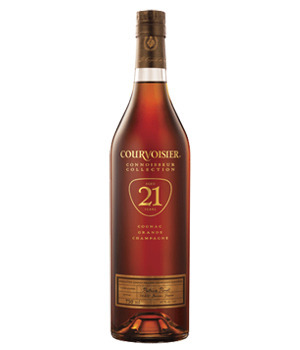 Read more about Courvoisier 12 and Courvoisier 21. What is in store for the Historical Cellars of Monnet? I think this is actually a smart move. First of all, most people in America don’t drink cognac period much less know anything about the letter grading system. And even when you do know about the system, you still don’t really know how old it is since the letters are just an indication of the minimum age, since the blend usually uses much older eaux de vie than required, and since the age is an average anyway. I think the scotch system of indicating years of age makes more sense, though I suppose that’s easier when you use only a single malt. It immediately gives you an understanding of what you’re getting. I think this will allow Courvoisier to actually position its various products more precisely. And I think seeing that age statement will make the average buyer value it more and better gauge the difference between two items in the same product line. But just to be clear – are they saying that these are vintages? Are all eaux de vie in the “12”, for example, 12 years old? Or are they saying that 12 is the age of the youngest eau de vie in the blend? 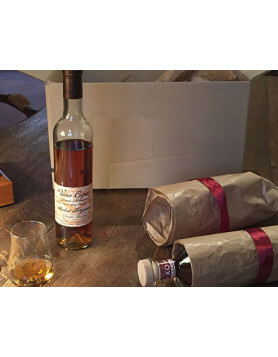 I must say, the bottles are beautiful – very classy – and it really allows the color of the cognac to be the star. I do think they should make the two bottles slightly different, however, such as using the shield shape around the age number for one and perhaps a circle or other shape around the other. If they sit next to each other on the store shelf, it will be very easy to transpose the numbers and get a surprise when you arrive at the cash register! I also think it’s a good idea. People in the US don’t really know what VS or XO mean.. as far as I understand those bottles are real vintage ones. Or am I wrong and this is just the minimum age? Do not underestimate the knowledge of Latin Americans in cognac. I am a sommelier specializing in spitirs and I am a collector of cognac. Courvoisier’s product is a smart marketing move. The problem with describing ages on cognacs is an old one but I do hope that this concept succeeds. Everyone understands 12 years old etc, but no-one understands whether an XO – for which the present minimum age of 6 years is soon to go up to 10 – is of any specific age whatsover. I would propose that it is this lack of clarity in correctly labelling Cognacs for so long which is one of the causes of the decline in cognac consumption in recent years. In contrast whisky labelling is clear and exact and the consumption of whisky is doing much better in the modern world where clarity is expected and lack of clarity viewed with suspicion. However the BNIC (the cognac regulatory body) impose extremely stringent rules on cognac producers with regard to the age descriptions and the hoops that producers have to jump through in order to describe an exact age are far too onerous and impractical for most to adhere to; this is another reason why – up until now – exact ages have rarely been used. One could postulate as to whom the cognac production rules benefit the most? I would suggest that it is those who produce the youngest cognacs in largest volumes and hope to gain the most by expecting buyers to believe that the age is actually greater than the minimums required… In other words the large cognac houses who mostly fund the BNIC and have the largest input into the rules. Top marks to Courvoisier for trying to buck this trend. It’s really a great move, one must admit. 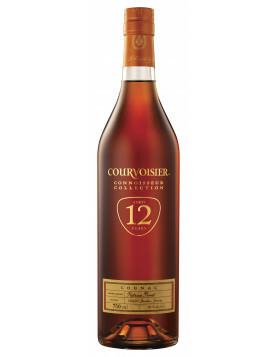 We have updated the two product pages of 12 and 21 with more information on the new Courvoisier cognacs and the Connoisseur Collection. I like the product of Courvoisier, but I can not find mini bottles of this product. 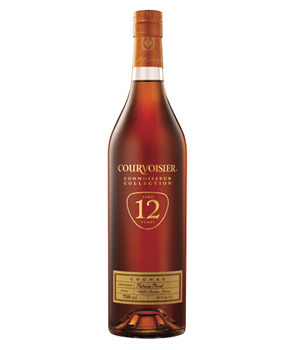 Courvoisier does not intend to produce mini bottles of Courvoisier 12, Courvoisier 21? This is a huge omissions if Courvoisier not produce mini bottles. Because this product is clearly pioneer liquor Cognac’s show age.